SEATTLE - March 30, 2018 - PRLog -- Bellingham Bay Swim Team's only open water meet is attracting international attention. Held as a team fundraiser each August at Lake Padden in Bellingham, the Aly Fell International Open Water Swim is scheduled for August 25, 2018. It features six masters events and four USA sanctioned swimmer events. Masters events include 2.5K, 5K and 10K wetsuit, and 2,5K, 5K, and 10K non-wetsuit. The USA swimmer events include 800 meters, 2.5K, 5K, and 10K. The event is part of the PNA open water series. As the only 10K Olympic qualifier in the Pacific Northwest, it draws swimmers from U.S. and Canada. "This event takes place in the ideal setting for a fun and fast open water race. 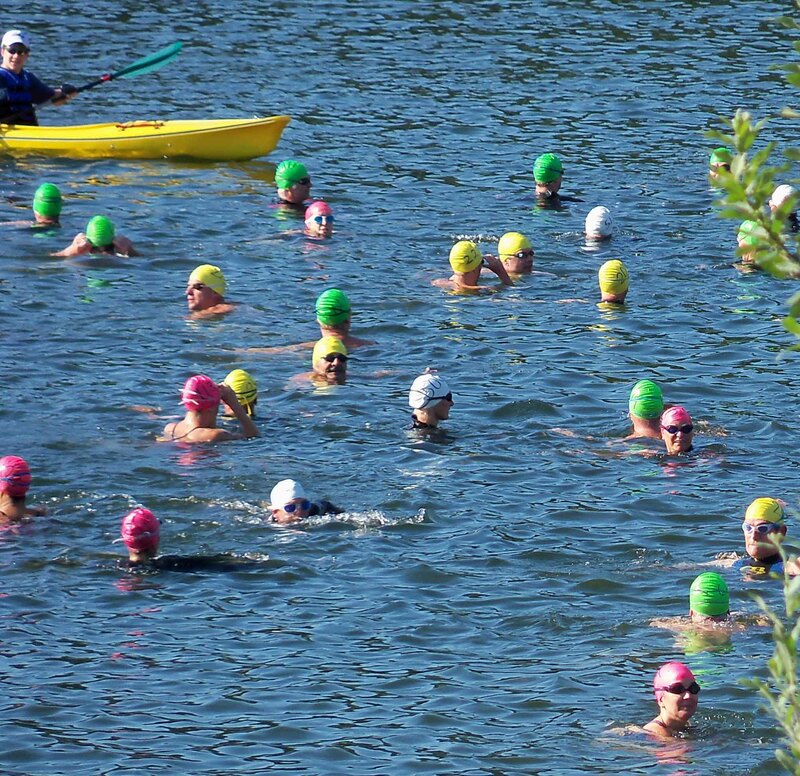 Lake Padden is not only a beautiful location, it provides a fantastic open water course with great visibility," states Brad Jones, a nationally ranked masters swimmer. "Over the years, this race has attracted extremely fast club swimmers, masters swimmers, and triathletes. No matter what level you swim at, you're guaranteed to have a great time." The event was named in memory of Aly Fell, an Olympic hopeful and Bellingham Bay swimmer who earned a trip to the Class 3A State Championships as a freshman at Ferndale High School. Fell was killed at age 15 in a 2009 car crash weeks before the start of her sophomore year. Four days prior, Fell competed against 78 master swimmers in the 2.5K at Lake Padden; it was her first open water swim. She placed first in both the women's division and her age group, and third overall. The team created a logo bearing the motto, "Swim Felly Fierce," and the local master's swim club renamed the open water event in her memory. As a team fundraiser, all competitive and noncompetitive swimmers are welcome.